Location plays a large role in how well a golf course performs. 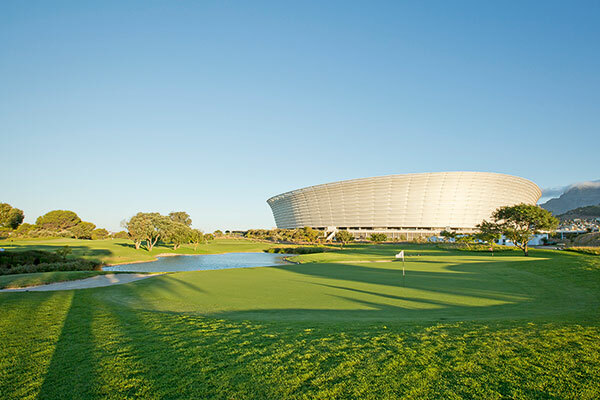 In the case of Metropolitan Golf Club in Mouille Point, Cape Town, its location, right in the middle of the city, has been both a success and more recently a downside when it came to the building of the Cape Town Stadium for the 2010 Soccer World Cup. However, it has since recovered from this forced closure of just over three years to become one of the premier courses in the Western Cape. In its 120 years of existence, Metropolitan Golf Club, more affectionately known as the Met by its members and most Capetonians, has seen its fair share of changes and historic interruptions, including the remodelling of the course. 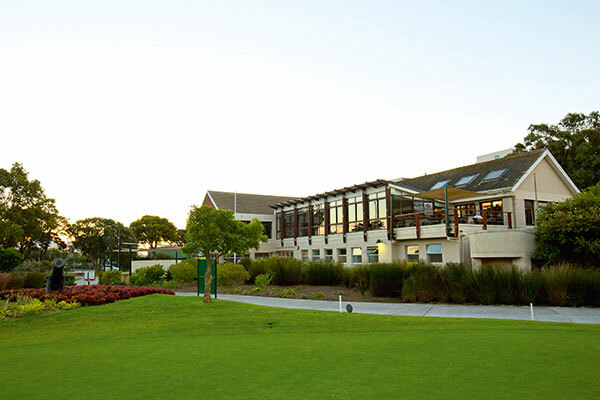 Formed in 1895 as the Green and Sea Point Golf Club, it closed just four years later in 1899 during the Anglo-Boer War, reopening in 1902 with a new layout. This too lasted only four years before it was redesigned once again. The 1906 redesign remained the same for the next century, with the only other closures occurring during the two World Wars. The course was forced to close for the most recent time in 2007, as construction began on the 2010 World Cup stadium and, with the help of local course designer Mark Muller, the new nine-hole layout was built to accommodate the stadium and its surrounding facilities, with only two holes from the 101-year-old course remaining. During this downtime, only half of the pre-2007 course remained and was converted into a mashie course for the members, while many of the other Western Cape courses accommodated Met members looking for a full round. Though this was a positive move by the courses, it also led to many Met members leaving the club to join these other facilities. However, since the official reopening of the Met on 15 May 2010, along with a renovated clubhouse, many members have returned and the course now boasts a healthy membership of just over 750, with female Major champion Sally Little being one of them. The shared greens on the course are large enough that the holes using these putting surfaces are very different. Throughout the history of the club there have been many attempts to convert it to an 18-hole layout, an idea that was finally put to rest when the stadium was built. While some see the nine-hole layout as a disadvantage, many others have embraced the concept and have been the driving force behind making it one of the best- conditioned courses in the province, if not the country. With today’s tough economy and the amount of time it takes to complete a round of golf being some of the biggest contributors to the decline in golf participation, it makes total sense that a nine-hole facility would thrive, and the Met is the perfect case in point. However, the Met is not your normal run-of-the-mill nine-hole course. It has 14 greens and more than 18 tee boxes that create 18 different holes, varying in length – and direction in some cases – with only the fairways being the same for some of the holes. And to make sure you don’t get confused by which nine is played first, each of the 18 holes has its own name, despite the shared fairways and greens. In the case of the first four holes, the tee shots are hit in similar places from different tee boxes; however, the approach shots differ as each hole has separate greens for the two nines, and this creates a unique challenge when playing the second nine. The next four holes play to large shared greens, but the pin positions and multitude of tee boxes make these holes play differently and the 7th is a perfect example of this. Playing just 292 metres, this par four is by no means long, but it is not one where even the longest of hitters should attempt to try to find the putting surface in one shot. The hole doglegs left around some thick rough and waste bunkers, while the right rough is fairly thick too, and trees can block the approach from that angle. A well-struck rescue or long-iron will leave a full shot in, and this will give you a better opportunity to attack a pin that is normally tucked away behind a pot bunker in front of the green. Anything long or left will again find some thick and lush rough, which leaves a difficult chip down towards the pin, with the bunker waiting behind. This hole on the back nine then takes on a completely different complexion, as the tee box is slightly forward and the pin is far more accessible. This time around, it only plays 270 metres and is in range for the longer hitters. The danger left is taken out of play; however, the rough and trees on the right will become a lot more prominent and will often lead to high scores for those who stray with their drivers while attempting to hit the green in one. And with the severe slopes and a false front on this green, even those who find the green or its surrounds in one may still struggle to write down a four on the card. The par-four 4th hole is driveable for the longer hitters; however, when playing it as the 13th, the greenside bunkers become fairway hazards for the longer hole. As you can see, the Met is by no means a slightly larger mashie course, as the more cynical golfers may view it. The par-35 course features a long par five, six par fours of varying distances, and two par threes, making it a great challenge for all golfers, no matter their skill level. 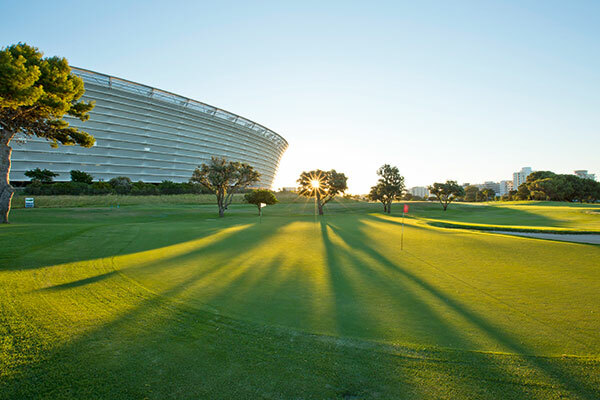 The fact that the Met is and will always be a nine-hole course is not seen as a limitation to anyone, not least Marthinus Jacobs, the general manager of the club. He sees it more as a benefit for various reasons, the biggest being the lower environmental impact per player that the Met endures, compared to an 18-hole layout. 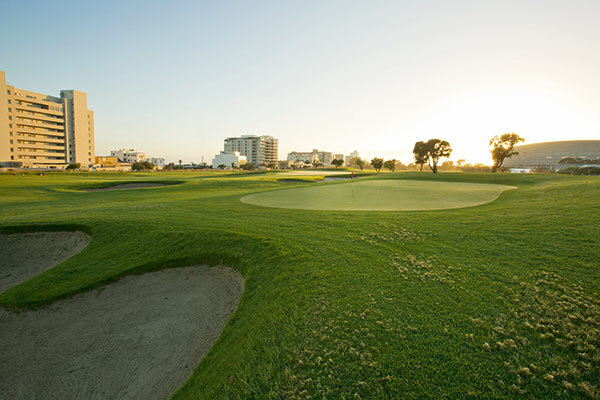 The design also allows for a much smaller area that needs to be maintained and, through plenty of consultation by Servest Turf, the club’s partner in maintenance, there is scope to reduce the areas needing to be looked after by an additional 25 percent, without affecting the general condition of the course. To add to the environmental aspect of the course, the Met partnered with the Raptor Rehabilitation Centre at Spier a few years ago and released 12 barn owls and eight spotted eagle owls in 2014 to curb a rat problem that the area was facing. The problem was created during the redevelopment of the course and neighbouring Green Point Urban Park when rats were the first wildlife to return to the area and were able to multiply very quickly, thanks to an absence of predators. The introduction of the owls has decreased the number of these vermin dramatically, and a further seven owls are currently being acclimatised to the area between the 1st and 2nd holes on the course. The functional clubhouse has plenty of space in the upstairs bar to accommodate all golfers and offers great views of Table Mountain. According to Jacobs, 40 percent of the 25 000 rounds played per annum are nine holes, and this is great for tourists looking to tee it up and still experience many of the other activities that the Cape has to offer. It is clear that the Met is a successful operation, thanks to the way it is managed by the small team of staff members, and it is a model that could easily be the answer for many other struggling courses around the country. There are many logistical nightmares that can arise from only having nine holes, yet the team at the Met has created a working system that enables them to accommodate almost anyone looking for a game, and as such about 40 percent of the annual rounds are from visitors and tourists. And thanks to the set-up of the course being a five-hole and a four-hole loop, split by Fritz Sonnenberg Road, those looking for their quick fix of golf before or after work can even get in four or five holes before enjoying a coffee or stronger libation in the club’s bar while looking out across the 9th hole towards Table Mountain. GETTING THERE: From the N1 or N2, continue along Table Bay Boulevard, which becomes Buitengracht Street at the off-ramp. Continue along Buitengracht Street and turn right into Helen Suzman Boulevard. At the traffic circle take the third exit onto Granger Bay Boulevard and take the first left turn into Fritz Sonnenberg Road. Continue past Cape Town Stadium and the entrance to Metropolitan Golf Club is on the right. ■ The course is always in spectacular condition and the greens are smooth and quick. ■ The halfway house is quick and efficient, and the food is reasonably priced. ■ The chipping practice area is not up to the same standard as the rest of the course. After exploring an 18-hole course, explore the adventurous side of the Mercedes-Benz GLA. Built to exacting standards, the exterior and interior is prepared for your wildest adventures. The GLA’s progressive aesthetics, sporty character and agile handling make this car a game changer amongst its competitors. Its dynamic SUV design and 4MATIC all-wheel drive ensures protection during those unexpected adventures. Book a test drive in the always restless, GLA. Visit thebesttimeisnow.co.za.